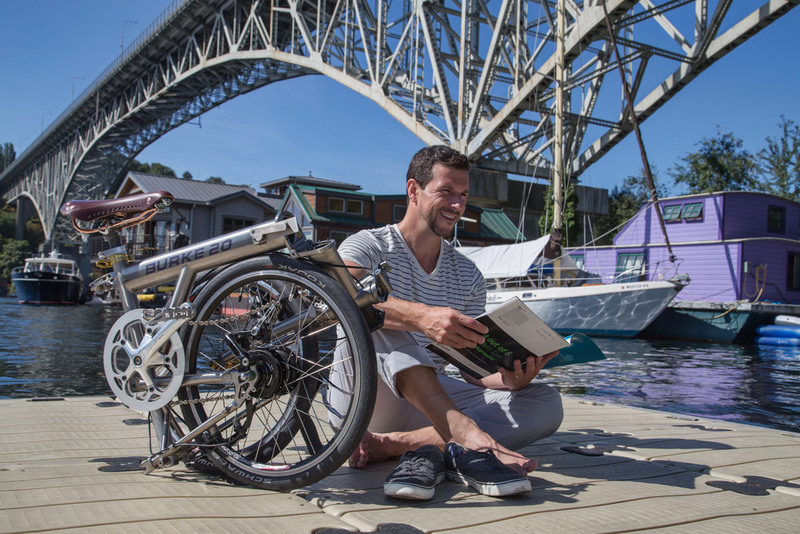 Designed for taking on travels by plane, boat or train, the Burke 20 can be folded and packed into a 28"x22"x12" suitcase in one minute, without disassembly of wheels, handlebar or use of tools. 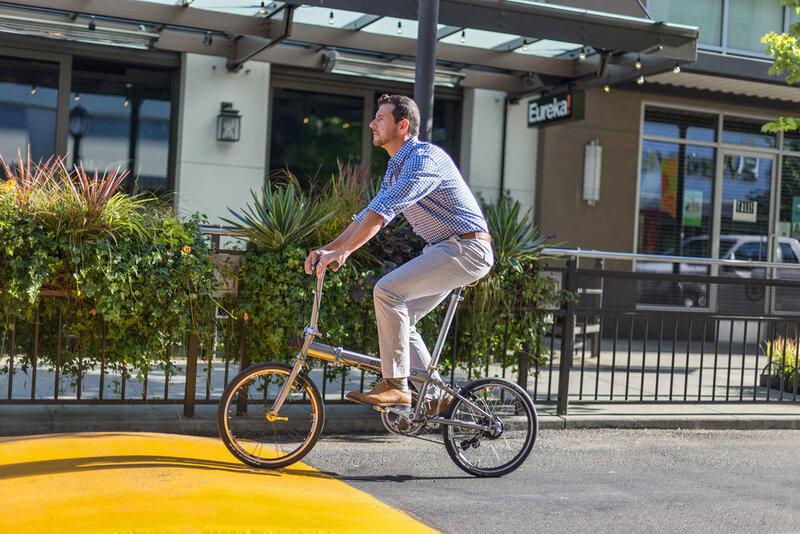 Unfolded, the 20-inch wheels, wide gear range, and a full titanium frame with an extended cockpit give a fast and reassuring ride. 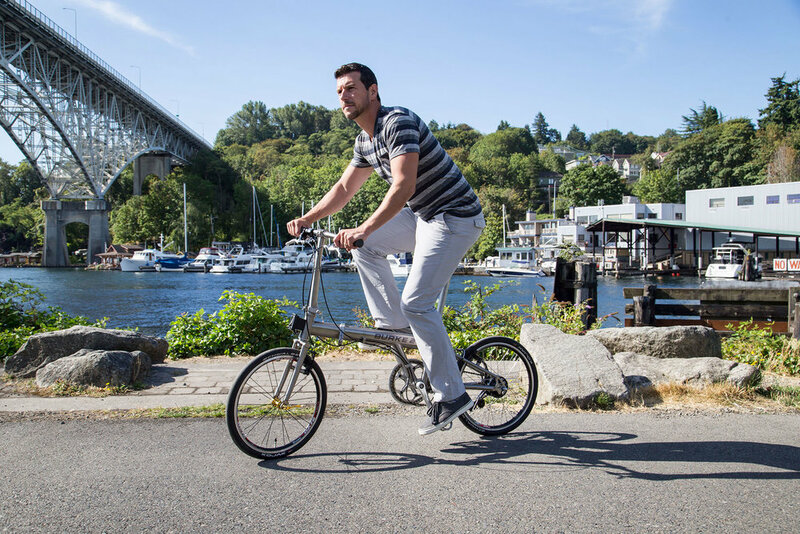 Designed for commuting on buses and mass rapid transit, the Burke 16 can be quickly folded / unfolded within 10 seconds. 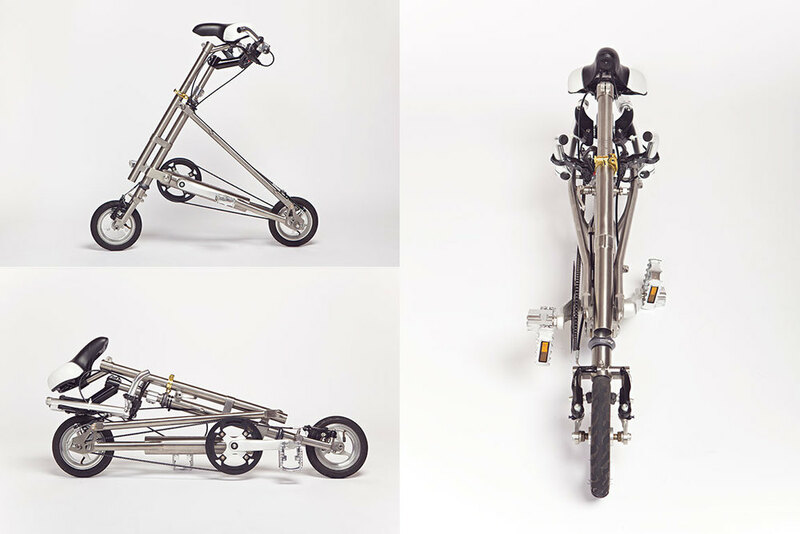 When folded, it is free standing, rollable and occupies the smallest floor area of any 16-inch wheel bike. 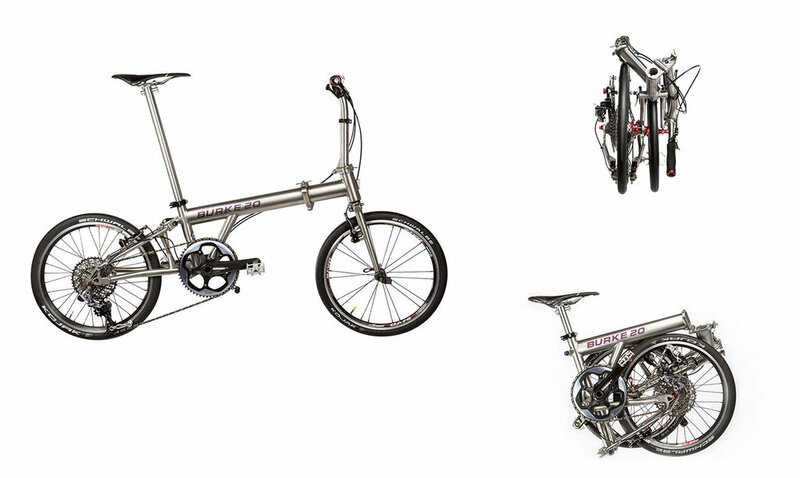 The patented Standing-Room-Only Footprint design is useful during peak-hour commute, or squeezing into a crowded lift. 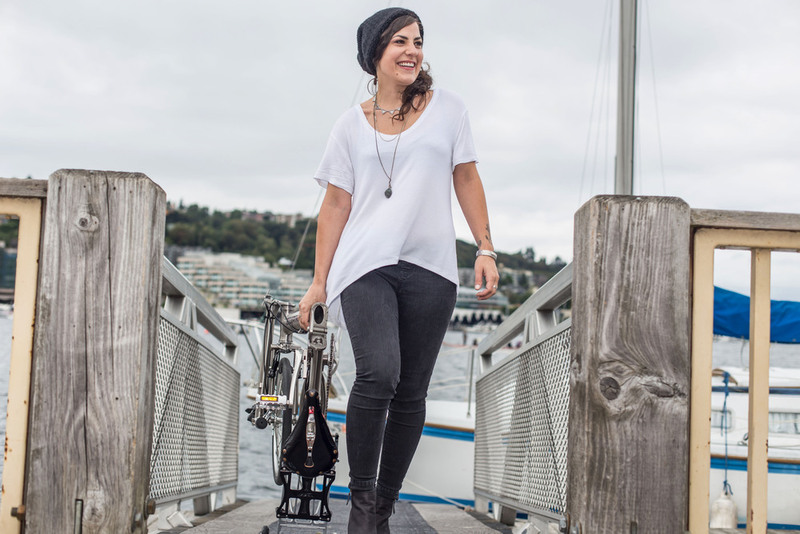 With its unique patented Delta frame design, the Burke 8 can't help but be a head turner and conversation starter. 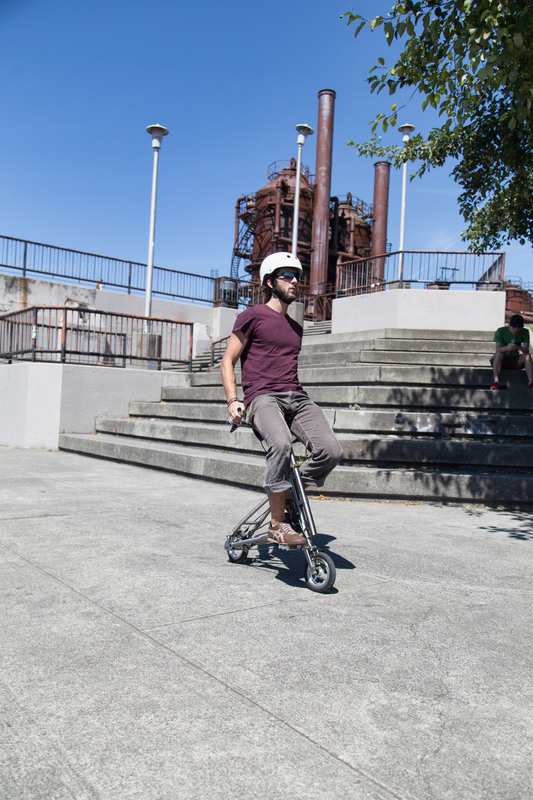 Looks aside, it is ultra-light, ultra-compact, and a practical machine for last mile transportation, leisure ride in the park, or quick trips around the neighborhood. 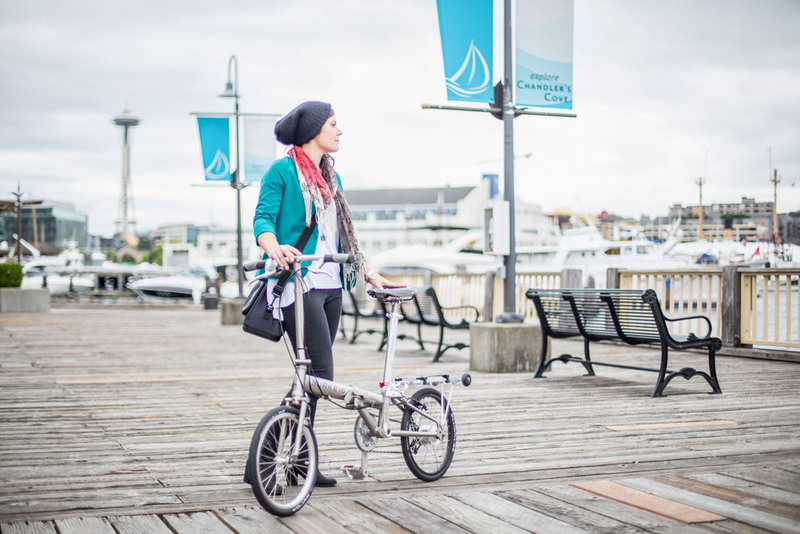 Featuring a no-brainer 3-step fold (handlebar, frame, pedals, in any order), it packs down to a size similar to a baby stroller or kick scooter, to be stowed in the smallest of cars or closets. In fact, stow two. To get the most up-to-date information about our products please subscribe to our newsletter.